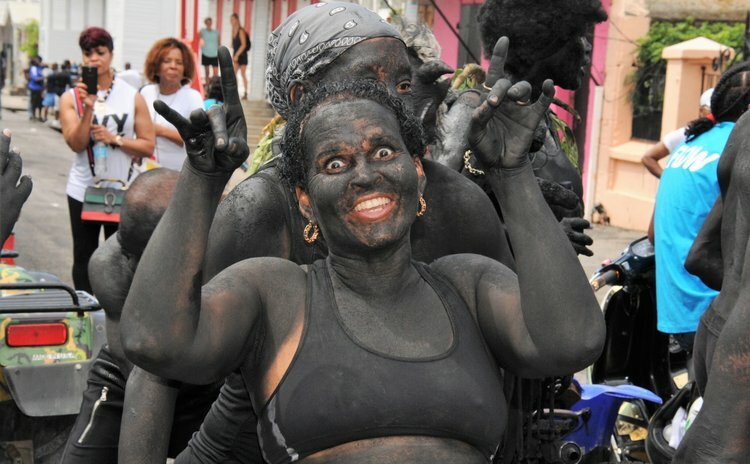 Dominica’s Carnival is an explosion of creative energy that defies confinement of any sort. Its elements — exuberant dance, driving music, flamboyant costumes and much more— combine into an extraordinary effusion of artistry that defies being captured in words and images. When we try to represent Carnival, the most poignant of Dominica’s cultural experiences, we have to resort to glimpses. We can only aspire to show its essence, not its exquisite fullness. With this in mind, in the following features THE SUN tries to capture the essence of Carnival and explore related concerns. Read the reflections of a costume designer, get insights into Bann Mové, delve into Carnival musings by cultural giants and get a feel of its complex socio-cultural aspects. Also, read about pivotal issues like the seeming decline of steel pan and the tragic 1963 Carnival fire. Many of the features, researched and written exclusively for THE SUN by journalist Gwen Evelyn, has appeared in THE SUN over the past few years. They have been compiled and updated as Dominicans enjoy the 2018 carnival disfigured and hurt by Hurricane Maria.